Here at Power Pointers we take great pride in answering all inquiries within 24 hours or less! Kali Miss is a large female with Imported CH German CH Canadian and American bloodlines. Kali holds two titles with the IABCA, her National and International Champion titles. Kali is a 6X B.O.B. in the Open Class. 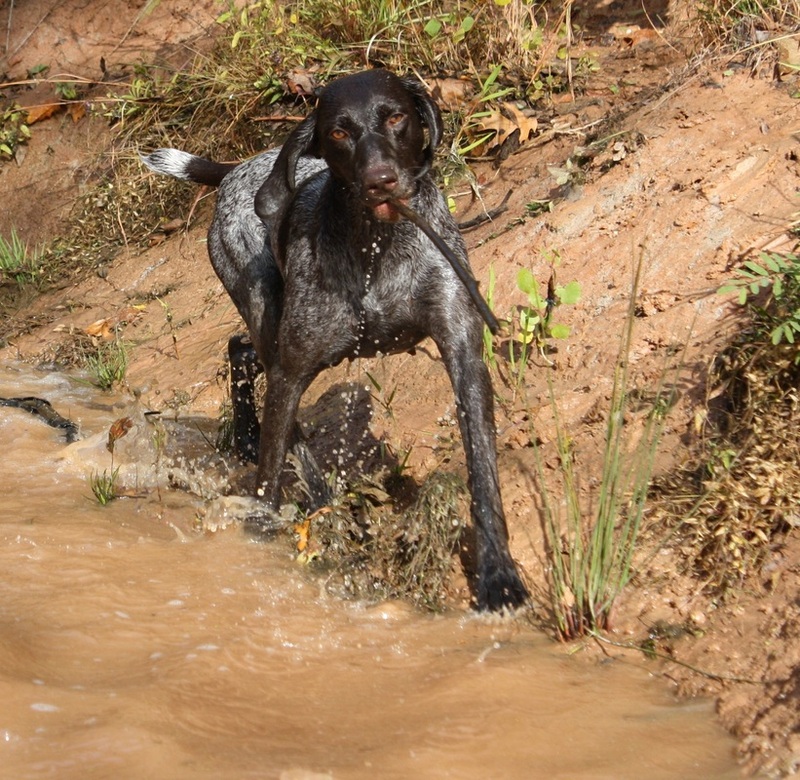 KALI'S pedigree has GERMAN and Canadian IMPORTED BLOODLINES with many Multi-Champion and Dual Champion dogs in her pedigree from Europe and Canada. 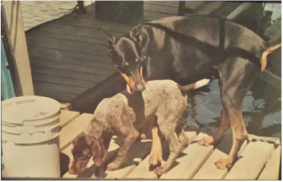 Over 30 titled dogs in Kali's 5 generation pedigree including multipe Dual Champion for Germany, Canada and the Untited States. 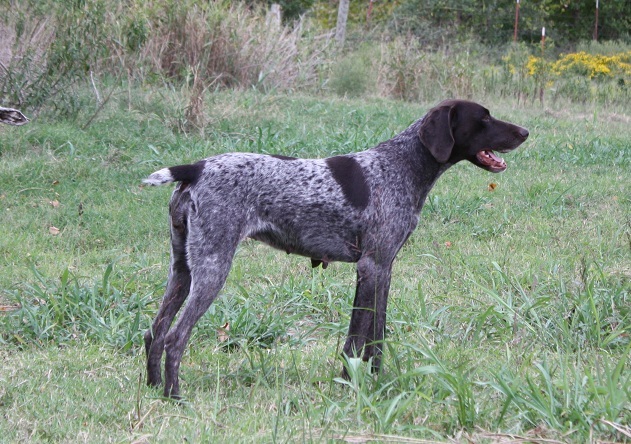 Kali is our foundation at Power Pointers and is the Mother or Grandmother of most of our breeding females today! 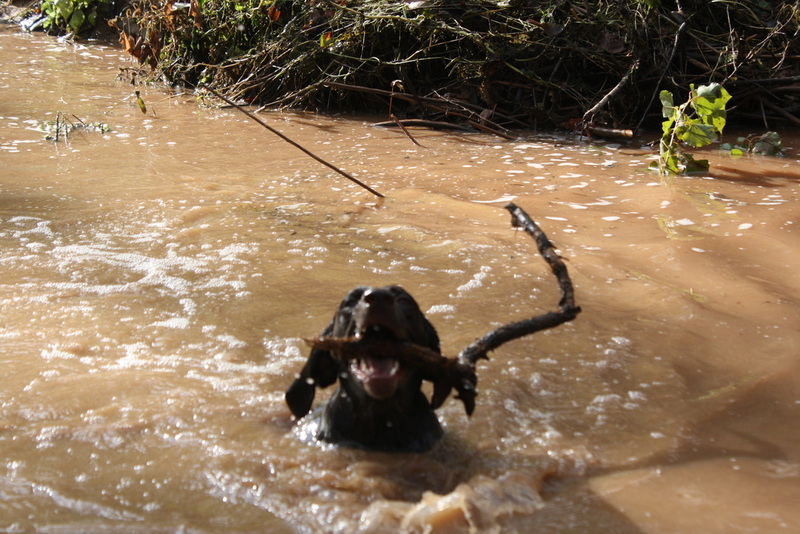 Kali has high drive, fearless and is extremely intelligent. 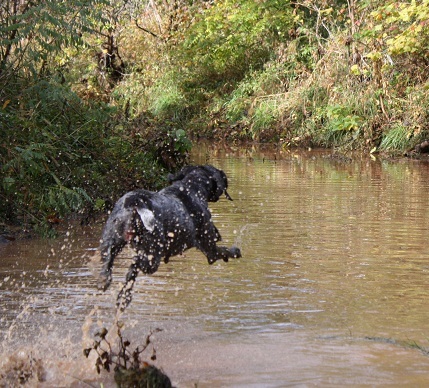 She LOVES the water and especially retrieving from the water or wherever else it lands! She is great in the field and stays close by. 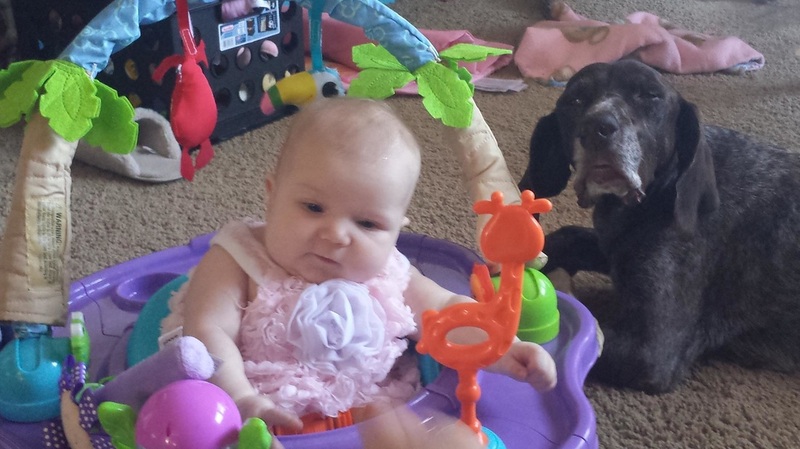 Very obedient, and very loving in the home, she is all heart. She is the alpha female with perfect conformation. 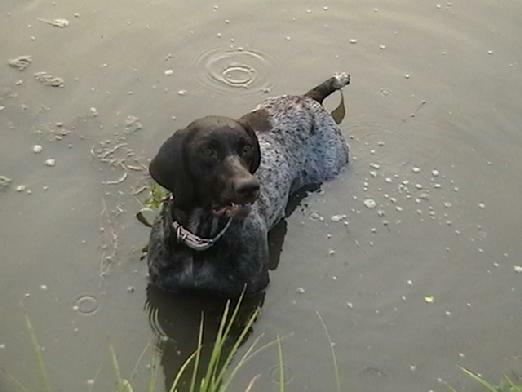 She is a GSP that points like dream, loves to swim, and has a tenacious drive that never quits. 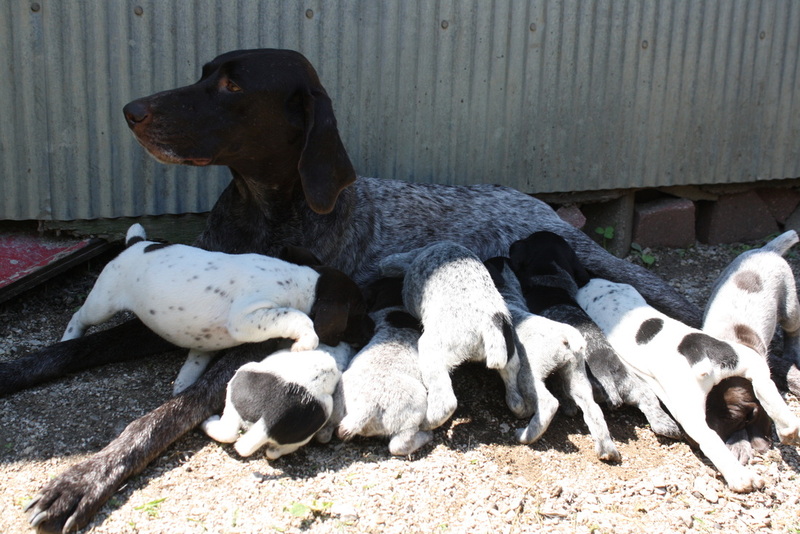 She is a loving mother that will pass these traits on to her pups. Kali is very sweet with a gentle and loving personality. Her offspring are extremely driven and so smart it’s spooky!